A hundred years ago, this was a raging competition. 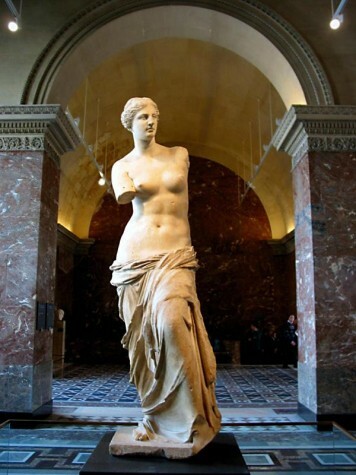 Atlas Obscura informs us: ‘Wellesley and Swarthmore Colleges had a serious rivalry over which of its female students most resembled Venus de Milo. A Harvard professor collected measurements from female students all over the Northeast. Every few years a big-city newspaper announced a new Venus. There was even a full competitive event at Madison Square Garden.’ In America, the detailed measuring of college students had been standard practice since the 1890s, when the physical culture craze took off at universities. Over the next few decades, physical educators, particularly Dr. Dudley Allen Sargent, director of the Hemenway Gymnasium at Harvard University, collected measurement cards from students all over the northeast.